Last edited by Dotachin; 06-08-2018 at 05:28 AM. Should have specified... Can't comment on the CPU's/ future chipsets themselves past what AMD unveils. The new X399 AORUS Xtreme is the same X399 chipset, so I can tell you anything you want to know about the board. So it would appear that AMD will just issue new BIOS parameters to deal with the more advanced boost on TR, rather than mandate a mobo upgrade to take full advantage, as on Ryzen? There's no incentive for them to do otherwise. Existing X399 solutions might be problematic if you intend to run over 3.9GHz all core with over 16 cores though due to the power scaling at that threshold. Most 2nd gen Ryzen chips boost to around 3.9 - 4.0GHz all core around 1.3V. I would theorize you want at least 100A per die (2CCXs or 8 cores) so a 32 core CPU ideally has over 400A safely on tap from the board (basically a 8 phase 60A IR3555 powerstage board would be close to its limits if not properly cooled : even the MSI X399 Pro Carbon exhibited this with 10x IR3555). Anything less than 32 cores should be okay with airflow ; 400W pushed through the first gen X399 boards was alright with 4GHz Threadripper and that is about 60% more than the official 2nd gen Threadripper TDP of 250W. The precision boost 2 on Ryzen 2nd gen is strong enough that I think it's better to just use a little BCLK (102-104ish) honestly. Last edited by radier; 08-01-2018 at 08:54 PM. So, basically there is no chances for the Aorus Gaming 7 X399 run the [email protected] all cores? 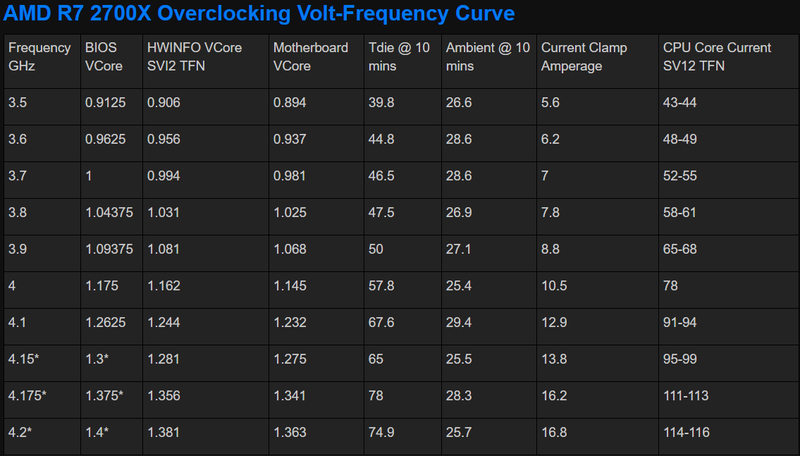 All I can say is I hope we see updated boards with better VRM and cooling on them. Also as much as i love ASrock they need 8+8pin not 8+4pin for really pushing the new cpus. The factory boost usually does not accurately set the voltage. As always, you can more precisely do it manually. what motherboard best for 2990WX now guy ?